is concerned with the treatment of injuries or illness resulting from athletic or recreational activities. In actuality, it also encompasses the psychology and dieting needs from these activities as well. This often takes a deeper understanding of the entire process. We at Foot and Ankle Specialists of the Mid-Atlantic (FASMA) are fortunate to have many members of the American Academy of Sports Medicine (AAPSM), considered the most comprehensive program of Sports Medicine in Podiatry. Three of our doctors – Dr. Lee Firestone, Dr. David Levine and myself – are Fellows of the Academy. Our doctors across the Washington Metropolitan Area participate in care of athletes of all ages and in events locally, nationally and worldwide. Many of FASMA’s doctors run local clinics and participate in discussions to educate athletes of all varieties of sports. I am the team Podiatrist for the Washington Wizards of the NBA, and along with Dr. Jennifer Gerres, treat the Washington Mystics of the WNBA. The field of Sports Medicine has grown leaps and bounds, with many disciplines qualifying as athletics, such as: Mixed Martial Arts (MMA), Crossfit and Ultimate Frisbee; in addition to the typical slate of activities like running. basketball, football, soccer and baseball. Knowing what is involved in these disciplines helps guide what is and isn’t allowed during rehabilitation. There are many new aides to expedite the rehabilitation process without surgery. We have become more acutely aware of metabolic issues that often complicate healing like low Vitamin D levels and new protocols for treatment. There are new treatment options to adjunct some tried and true treatments. They include platelet-rich plasma (PRP), shockwave (EPAT/ESWT), and cold LASERS. Even biologics like Amniofix, which is derivative of amniotic membrane, are now used to try and speed up the process. These modalities can reduce inflammation and increase blood flow to aid the healing process. Surgery can often still be considered the gold standard, though. It is generally the best option and does require a period of recovery, but shouldn’t be feared. Most of us are exercising longer into our lives and frequently addressing a problem that surgery can fix permanently, so that you can exercise longer. Rehab options have come a long way and time-frames of recovery have reduced as we have changed the algorithms on return-to-activity. Immobilization times have reduced in favor of controlled return-to-activity programs. Most of our practices have trusted physical therapists and other adjunctive professionals to refer to. These include acupuncturists and chiropractors as well. Sports medicine may be the best discipline to help us live longer, more productive lives and our doctors and support staff at FASMA look forward to helping our patients continue their activities as pain free as possible. If you have any questions or concerns, feel free to contact one of our FASMA offices to see how we can help. 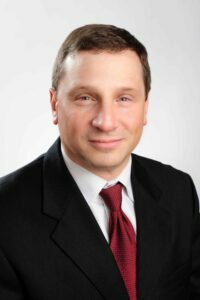 Dr. Howard Osterman and Foot & Ankle Specialists of the Mid-Atlantic, LLC expressly disclaims all warranties of any kind, whether express or implied, related to any products offered for sale on this web site. 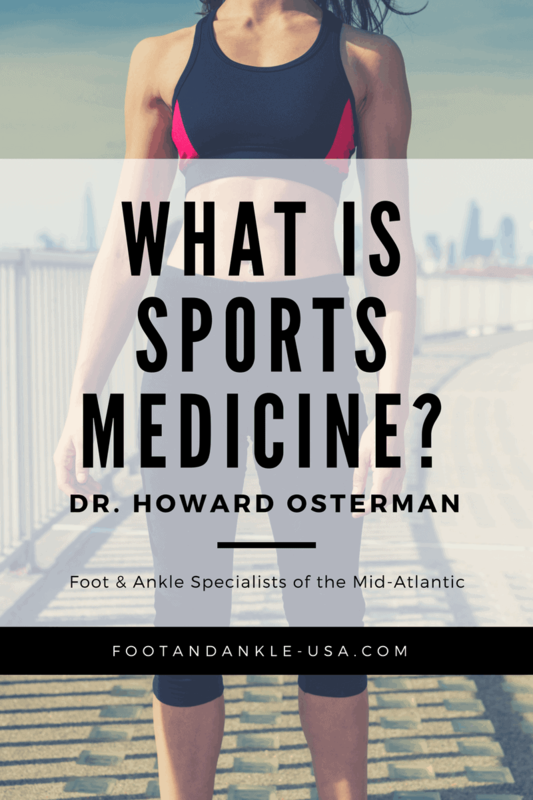 Dr. Howard Osterman and Foot & Ankle Specialists of the Mid-Atlantic, LLC further expressly disclaims any product warranties of effectiveness or fitness for any particular purpose or use. You are solely responsible for your use of, or reliance on, any products offered for sale herein, and any consequences arising out of such use or reliance. In no event will Dr. Howard Osterman and Foot & Ankle Specialists of the Mid-Atlantic, LLC be liable for any damages resulting from use of or reliance on any such products, whether based on warranty, contract, tort or any other legal theory. People hate going to the doctors, none more than athletes. For those individuals who try and incorporate athletics into their lives, it is difficult to admit one needs a doctor. By the time someone comes to my office, they have decided they need to see someone, have asked their friends and family and googled it on the internet. Their biggest fear is that we will send them to physical therapy and discontinue their exercise program. A good Sports Medicine doctor will understand the demands of the sport and design a program that can potentially cross-train, really not telling an athlete what they can’t do, but what they can do without risking further injury and helping the injured parts continue to heal. By strict definition, Sports Medicine is concerned with the treatment of injuries or illness resulting from athletic or recreational activities. In actuality, it also encompasses the psychology and dieting needs from these activities as well. This often takes a deeper understanding of the entire process.